Area: 69,700 square kilometers; slightly smaller than South Carolina; approximately 20% of its total territory is not under Georgian Government control. Cities: Capital: Tbilisi (population 1.1 million, 2010). Climate: Generally moderate; mild on the Black Sea coast with cold winters in the mountains. Nationality: Noun and adjective — Georgian(s). Population (July 2011 est. ): 4.6 million. Population growth rate (2011 est. ): -0.326%. Language: Georgian 71% (official), Russian 9%, Armenian 7%, Azeri 6%, other 7%. Abkhaz also "official language" in Autonomous Republic of Abkhazia. Education: Years compulsory: 9. Literacy (2004 est.) — 100%. Health: Infant mortality rate (2011 est.) — 15 deaths/1,000 live births. Life expectancy (2011 est.) — 77 years. Constitution: August 24, 1995; amended February, April, and June 2004; December 2005; December 2006; January 2007; and November 2010. The 2010 amendments will go into effect following 2013 presidential elections. Branches: Executive: president. Legislative — unicameral Parliament, 150 members. Judicial — Supreme Court, Constitutional Court, and local courts. Subdivisions: 76 electoral districts (10 additional districts are located on the territories not controlled by Georgia) and five independent cities. Major political parties [and leaders]: United National Movement [Mikheil Saakashvili]; The Christian Democratic Movement [Giorgi Targamadze]; Free Democrats [Irakli Alasania]; Republican Party [David Usupashvili]; Labor Party [Shalva Natelashvili]. 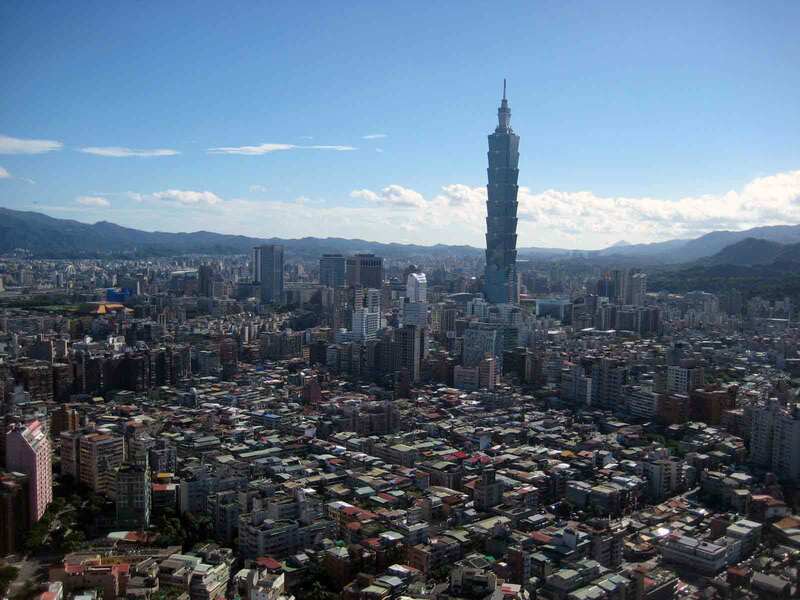 GDP per capita (2010): $2,629. Inflation rate (July 2011): 8.5%. Industry: Types: steel, aircraft, machine tools, foundry equipment (automobiles, trucks, and tractors), tower cranes, electric welding equipment, fuel re-exports, machinery for food packing, electric motors, textiles, shoes, chemicals, wood products, bottled water, tourism, and wine. Trade (2010): Exports: $1.6 billion. Partners (by volume) — Azerbaijan, Turkey, United States, Armenia, Ukraine, Canada, Bulgaria, Kazakhstan, Russia. Imports — $5.1 billion. Partners — Turkey, Ukraine, Azerbaijan, China, Germany, Russia, United States, United Arab Emirates, Romania, Italy. Work force (2010): 1.94 million. Agriculture — 53.5%, industry — 8.9%, services — 35.5% (National Statistics Office of Georgia). Unemployment as of April 2011 was 16.7% (International Monetary Fund). Georgia's recorded history dates back more than 2,500 years. Georgian, a South Caucasian (or "Kartvelian") language, unrelated to any outside the immediate region, is one of the oldest living languages in the world and has its own distinct alphabet. Located in the picturesque Mtkvari River valley, Georgia's capital, Tbilisi, is more than 1,550 years old. 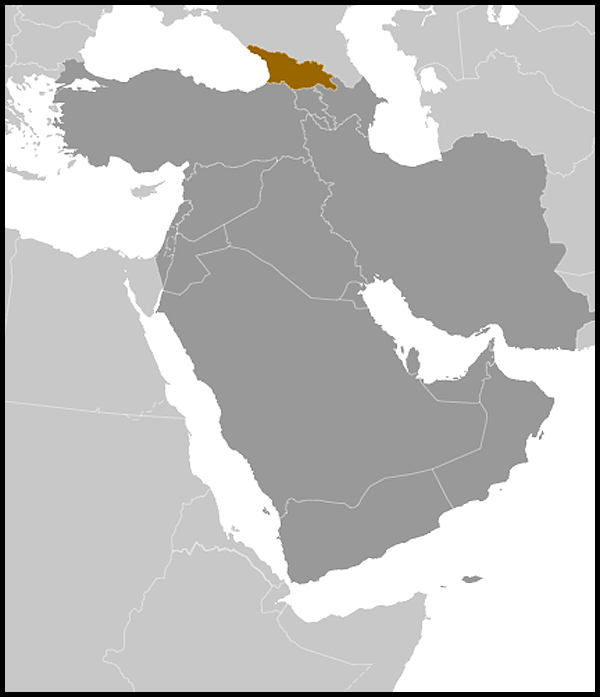 In the early 4th century, Georgia became the second nation in the world to officially adopt Christianity. Georgia has historically been situated on the margins of great empires, and Georgians have lived together in a unified state for only a fraction of their existence as a people. Since at least the 1st century B.C. through the 18th century, much of Georgia's territory was fought over by Persian, Roman, Byzantine, Arab, Mongol, and Turkish armies. The zenith of Georgia's power as an independent kingdom came in the 11th and 12th centuries, during the reigns of King David the Builder and Queen Tamar, who rank among the most celebrated of all Georgian rulers. In 1783, the king of Kartli (in eastern Georgia) signed the Treaty of Georgievsk with the Russians, by which Russia agreed to take the kingdom as its protectorate. In 1801, the Russian empire began the piecemeal process of unifying and annexing Georgian territory, and for most of the next 2 centuries (1801-1991) Georgia was ruled from St. Petersburg or Moscow. Exposed to modern European ideas of nationalism under Russian tutelage, Georgians, like the influential writer Ilya Chavchavadze, began calling for greater Georgian independence. The independent Republic of Georgia was established on May 26, 1918, in the wake of the Russian Revolution. Pro-Menshevik president Noe Zhordania and a social-democratic government led the country until March 1921, when it was occupied by the Bolshevik Red Army. Georgia became a Soviet Socialist Republic the following year. Several of the Soviet Union's most well-known leaders in the 1920s and 1930s were Georgian, such as Joseph Stalin, Sergo Orjonikidze, and Lavrenti Beria, the head of Stalin's secret police. During the Soviet period, Georgia was one of the wealthiest and most privileged republics, and its Black Sea coastline was a popular holiday destination for the Soviet elite. On April 9, 1991, shortly before the collapse of the Soviet Union, the Supreme Council of the Republic of Georgia declared independence from the U.S.S.R.
Like other former Soviet Republics, Georgia's newly declared independence was followed by ethnic and civil strife. Secessionists took control of parts of South Ossetia and most of Abkhazia prior to cease-fire agreements brokered in 1992 and 1994, respectively. Georgia began to stabilize in 1995. However, the separatist conflicts in Georgia's regions of Abkhazia and South Ossetia remain unresolved. Periodic flare-ups in tension and violence culminated in a 5-day war in August 2008 between Georgia and Russia. French President Nicolas Sarkozy negotiated a cease-fire between Presidents Mikheil Saakashvili and Dmitriy Medvedev on August 12, 2008, which remains in effect, although Russia has not fulfilled some of its cease-fire commitments, including withdrawal of its forces to pre-war positions. As part of the Saakashvili-Medvedev cease-fire agreement, the European Union established the EU Monitoring Mission (EUMM), which patrols the undisputed Georgian side of the administrative boundary lines with Abkhazia and South Ossetia but does not have access into those regions of Georgia. The cease-fire also called for international peace talks on the situation, which have taken place regularly in Geneva since October 2008 among the EU, United Nations (UN), Organization for Security and Cooperation in Europe (OSCE), Georgia, Russia, and the United States, with the participation of de facto representatives from Abkhazia and South Ossetia. In August 2008, Russia recognized the independence of both Abkhazia and South Ossetia. As of August 2011, only three other countries had recognized the independence of the two territories. All other countries, including the United States, have confirmed their continuing support for Georgia's political sovereignty and territorial integrity. Georgia is a republic in which the president is elected for a term of 5 years, limited to two terms. The constitutional successor is the speaker of Parliament. Parliamentary elections on November 2, 2003 were marred by irregularities and fraud according to local and international observers. Popular demonstrations ensued in the streets of Tbilisi. Protestors carried roses in their hands in events that became known as the Rose Revolution. President Eduard Shevardnadze resigned on November 23, 2003, and Speaker of Parliament Nino Burjanadze assumed the role of Interim President. Mikheil Saakashvili was elected to a 5-year term as president in January 2004. Parliamentary elections were re-held in March 2004 and President Saakashvili's party, National Movement, combined with Speaker Burjanadze's party, the Burjanadze-Democrats, won the majority of seats. On May 24, 2005, the Parliament passed legislation to decentralize power from the central government in Tbilisi to local government authorities in the regions, although much remains to be done before meaningful decentralization is fully achieved. Elections were held on October 5, 2006 for 1,732 members of 69 local councils and seven city governments. An early presidential election was scheduled after President Saakashvili resigned in November 2007, following the government's violent dispersal of protestors in front of Parliament. Parliamentary Speaker Nino Burjanadze assumed the presidency on an interim basis until January elections. On January 5, 2008, Saakashvili was elected to a second 5-year term with 53.45% of the vote. Levan Gachechiladze, the unified candidate of nine opposition parties, earned 25.68%. Voters also overwhelmingly voted in two plebiscites in favor of NATO integration and spring parliamentary elections. In the May 21, 2008 parliamentary elections, President Saakashvili's United National Movement won an overwhelming majority with 119 out of 150 seats. International observers agreed that the government made efforts to conduct the elections in line with international standards but that the elections were uneven and incomplete in their adherence to those standards. Half of the opposition boycotted the new Parliament, citing voter intimidation, lack of balance by most media, and a lack of fair adjudication of complaints, problems also noted by the OSCE. As a result, by-elections were held in Tbilisi and Adjara on November 3, 2008. In the fall of 2009, Parliament passed legislation allowing those individuals who had refused to take their seats following the May 2008 elections to assume office if they so chose. In December 2009, Parliament passed a new electoral code, providing for the direct election of Tbilisi's mayor for the first time and the expansion of Tbilisi's city council, among other reforms. Municipal elections held on May 30, 2010 were evaluated by international monitors from the OSCE as marking evident progress toward meeting OSCE and Council of Europe standards for democratic elections, but with significant shortcomings remaining, including a flawed election code, the misuse of administrative resources, and lack of balanced media coverage for opposition candidates. The United National Movement won the majority of seats in each of the country's municipal councils, including in Tbilisi, and its candidate was elected mayor of the capital. On October 15, 2010, the Parliament approved a number of amendments to the constitution, including provisions that shift political powers from the president to the prime minister following the 2013 presidential election. The Council of Europe's Venice Commission considered the October 15 constitutional amendments to contain "several important improvements" but criticized the no-confidence procedures as a potential source of instability due to the time frame involved in the process and a potentially cumbersome process. Civil society activists, opposition leaders, the Venice Commission, and others had urged the Parliament to extend the period of debate which would have allowed "greater public buy-in and credibility." Parliamentary elections are scheduled for 2012 and a presidential election is scheduled for 2013. Under Georgia's constitution, President Saakashvili is prevented from running for a third term in 2013. Georgia maintains an embassy in the United States at 2209 Massachusetts Avenue, NW, Washington, DC 20008, telephone (202) 387-2390, fax (202) 387-0864. In 2004, the Government of Georgia initiated a variety of important reforms. The reform process is ongoing, and will require further implementation to achieve stated objectives. Specifically, the government has taken action against endemic corruption, receiving high marks from the World Bank. These initiatives have included reform of the notorious traffic police and implementation of a fair examination system for entering the university system. Further reforms have aimed at increasing respect for and strengthening the rule of law, such as 2006 constitutional amendments intended to increase the independence of the judiciary and 2007 legislation banning ex parte communication (prohibiting parties to a case from communicating with judges during the pre-trial investigation period and the trial). Legislation establishing a legal aid office was passed, making available assistance and representation in court proceedings to those indigent who request it. The Parliament passed a new, Council of Europe-compliant Criminal Procedure Code in October 2009, which entered into force in October 2010. The code encourages accountability and professionalism in the police force by barring the use of illegally seized evidence and includes better-defined rights and due process protections for those arrested. The code provides for the right to a jury trial in cases of aggravated murder, and includes measures intended to increase the speediness of trials and to allow for equal access by the defense to case discovery. Implementation of judicial reforms is ongoing, and has not fully addressed claims that the judiciary remains under pressure from the executive branch. The internal management process for hiring, promotion, transfer, and discipline of judges remains ill-defined. The government launched an aggressive campaign to combat trafficking in persons, and Georgia has had a Tier 1 ranking in the State Department's annual Trafficking in Persons Report since 2008. The Ministry of Justice recently launched a program to increase services for victims and witnesses in criminal cases. This effort is an extension of the ministry's ongoing program to provide enhanced public access/public service to court and other civil service agencies. Concerns about limitations on political pluralism and other components of democracy continue, and various opposition parties have at times taken to the streets in protest, demanding the President's resignation and early elections. Street protests organized by the opposition were generally met with restraint by the authorities and dissipated. However, in May 2011, police used tear gas and rubber bullets to disperse hundreds of demonstrators — some of whom were carrying poles and staffs — who refused to vacate the front of the Parliament building after their permit expired, resulting in dozens of injuries and two deaths. The U.S. and others called for an investigation into the use of force, and government investigations resulted in the firing of four police officers and numerous reprimands. There remain some concerns about the transparency of these investigations. There continues to be concern about the state of media freedom in Georgia, and more work is required to strengthen independent media and increase public access to information. In April 2011, the Georgian Parliament passed legislation on media transparency that requires improved financial disclosures and regulates offshore ownership of broadcast media. New electoral code reform legislation is expected to be passed before the end of 2011 in anticipation of the 2012 parliamentary elections and 2013 presidential elections. Russia continues to occupy the separatist regions of Abkhazia and South Ossetia. On August 26, 2008, Russia recognized these regions as independent, in violation of Georgia's sovereignty and territorial integrity. February and April 2010 agreements between Moscow and the de facto Abkhaz and de facto South Ossetian authorities, respectively, establishing Russian military bases in the separatist regions for 49 years, are inconsistent with the terms of the August 12 cease-fire agreement negotiated by French President Sarkozy and signed by Georgian President Saakashvili and Russian President Medvedev. The cease-fire agreement calls for the parties to: refrain from resorting to the use of force, ensure a definitive halt to hostilities, provide free humanitarian access to the separatist regions, withdraw forces to their pre-conflict positions, and open international discussions on security and stability in Abkhazia and South Ossetia. In accordance with this agreement the EU, UN, and OSCE co-host ongoing Geneva-based talks on security and stability arrangements in the Abkhazia and South Ossetia regions. The governments of Georgia, Russia, and the United States send representatives to participate in the talks, and de facto authorities from Abkhazia and South Ossetia also participate, as do representatives of the Abkhaz and South Ossetian governments-in-exile. The talks have established Incident Prevention and Response Mechanisms (IPRMs) designed to foster stability on the ground, including on the administrative boundary lines and in the conflict areas. Other items on the agenda include security, unfettered access to Abkhazia and South Ossetia for international monitors and human rights groups, and the return of internally displaced persons and refugees. On November 23, 2010, in addition to the pledge already made in the August 2008 cease-fire, President Saakashvili pledged a unilateral non-use of force at the EU Parliament. The de facto authorities in Abkhazia continue to restrict the rights, primarily of ethnic Georgians, to vote, participate in the political process, and exercise basic rights such as property ownership, business registration, and travel. 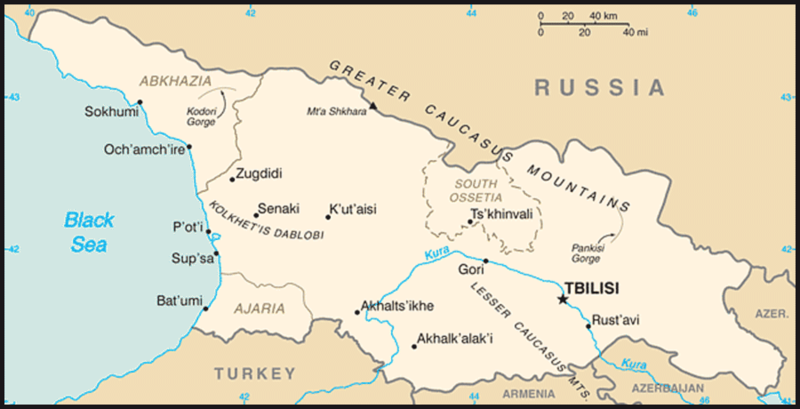 Ethnic Georgians also have suffered harassment by Abkhaz and Russian forces, forced conscription in the Abkhaz "army," a lack of funding for basic infrastructure maintenance, and limitations on Georgian-language instruction in the Gali district schools. The mandate for the OSCE mission to monitor the 1992 cease-fire in South Ossetia and to facilitate negotiations between parties to the conflict expired in 2008. The UN Observer Mission in Georgia (UNOMIG) established to monitor compliance with the 1994 cease-fire agreement in Abkhazia came to an end in June 2009. Neither mandate was extended after Russia blocked consensus among participating member states in the OSCE and vetoed a Security Council resolution to extend the mandate of the UN mission. The EU maintains a monitoring mission on the undisputed Georgian side of the administrative boundary lines between the separatist regions and undisputed Georgia, but is not allowed inside Abkhazia or South Ossetia by the separatists or occupying Russian forces. Membership in NATO remains a priority for Georgia. In support of this objective, Georgia's military continues to undergo a process of reform. In September 2006, NATO granted Georgia "Intensified Dialogue" on requirements for membership in the organization. In September 2008, NATO and Georgia established the NATO-Georgia Commission (NGC) to enhance NATO's relations with Georgia, coordinate NATO post-conflict assistance efforts, and underpin Georgia's efforts in political, economic, and defense-related reforms. In December 2008, NATO foreign ministers agreed that Georgia should develop an annual national program under the auspices of the NGC. At the June 2010 NATO Defense Ministerial and at the November 2010 North Atlantic Council meeting in Lisbon, NATO countries reaffirmed the Alliance's continued support for Georgia's sovereignty and territorial integrity and its aspirations for NATO membership as agreed at the April 2008 NATO Summit in Bucharest. The Soviet Socialist Republic of Georgia was one of the most prosperous areas of the Soviet Union. Political turmoil following Georgia's independence had a catastrophic effect on the country's economy. The cumulative decline in real GDP is estimated to have been more than 70% between 1990 and 1994, and by the end of 1996, Georgia's economy had shrunk to around one-third of its size in 1989. Today, the largest share of Georgia's GDP is produced by agriculture, followed by trade, manufacturing, and transport. Georgia's main exports are metals and ores, wine, and nuts. Although Georgia experienced some years of growth in the mid-1990s, it was significantly affected by the Russian economic crisis of 1998-99. The later years of former President Shevardnadze's administration were marked by rampant cronyism, corruption, and mismanagement. Public disaffection resulted in the Rose Revolution of 2003. The new government led by Mikheil Saakashvili promised to combat corruption, stabilize the economy, bring order to the budget, and reorient the government and the economy toward privatization and free markets. The government has reduced the number of taxes from 21 to six: a flat personal income tax of 20%, profit tax of 15%, 18% value added tax (VAT), a variable customs tax, and property taxes up to 1% of self-assessed value of property. Based on this simplified system and low rates, Forbes rates Georgia fourth best in the world in terms of tax burden on its citizens. It has significantly reduced the number of licenses a business requires, and introduced a "one-window" system that allows an entrepreneur to open a business relatively quickly. Strict deadlines for agency action on permits have been introduced, and consent is assumed if the agency fails to act within the time limit. The World Bank has recognized Georgia as one of the world's fastest-reforming economies, and in 2010 ranked it as the world's 11th-easiest place to do business, an improvement from 115th in 2005 and now in the same tier as countries such as Australia, Norway, and Japan. The World Bank's "Anti-Corruption in Transition 3" report places Georgia among the countries showing the most dramatic improvement in the struggle against corruption, due to implementation of key economic and institutional reforms, and reported reduction in the bribes paid by firms in the course of doing business. Economic growth was 6.4% in 2010; inflation reached 10.5% in the same year. The economy contracted by 4% in 2009 as a result of the global economic crisis and the 2008 Georgia-Russia conflict. In response to the damage suffered during the conflict, 38 countries and 15 international organizations pledged to provide U.S. $4.55 billion to Georgia at the Brussels donors' conference on October 22, 2008. The pledges amounted to approximately U.S. $3.7 billion to meet the urgent post-conflict and priority infrastructure investment needs from 2008 to 2010, with the balance going to shore up the financial and banking sector, support improvements in health and education, and promote democratic governance and free media. This package included U.S. $1 billion pledged by the United States. Official unemployment was 16.9% in 2010. A strongly negative balance of trade has been offset by inflows of investment and assistance from international donors. Although net investment inflows decreased in the immediate aftermath of the August 2008 conflict, private investment is returning. The Brussels aid package mitigated loss of private investment in the short term, allowing the government to continue to run a current account deficit of roughly 15%-20% of GDP. In 2010, foreign direct investment (FDI) rose to $814.5 million, up from $658.4 million in 2009. Over 30.5% of FDI came from EU countries and 16.7% from the United States. The sectors with the highest levels of FDI were industry ($228.8 million), transportation and communications ($215.1 million), real estate ($119.3 million), and financial sector ($107.4 million), according to the National Statistics Office of Georgia. From 2004 to 2009, improved collection and administration of taxes and the widespread privatization of state-owned assets greatly increased government revenues. During that period, tax collections went up from 17.8% of GDP to 24.5%. The government was able to pay off wage and pension arrears and increase spending on desperately needed infrastructure such as roads and electric energy supply systems. However, tax revenues declined commensurate with the reduction in overall growth in 2008 and 2009. As Georgia's economy has begun to recover, government revenues have grown concurrently, reaching approximately $3.3 billion in 2010, up 10.3% from 1 year earlier. Prior to 2004, electricity blackouts were common throughout the country. Since late 2005, however, distribution has been much more reliable, approaching consistent 24-hour-a-day service due to increased metering, better billing and collection practices, reduced theft, and management reforms. Investments in infrastructure have been made as well. Hydroelectricity output increased by almost 27%, and thermal by 28%, from 2005 to 2006. Through conservation, new hydroelectricity sources, and the availability of new sources of natural gas in Azerbaijan, Georgia has significantly reduced its historical dependence on Russia for energy supplies. Although the Enguri hydroelectric power plant, which supplies up to 40% of Georgia's winter electricity supply, is located in Abkhazia with the dam located in undisputed Georgia, there have not been any significant disruptions in transmission to undisputed Georgia since the 2008 conflict. The banking sector remains relatively stable, though it was challenged by the 2008 conflict and global financial crisis. The sector is open to foreign banks, and several are operating in Georgia, including ProCredit Bank, HSBC, and Bank Republic. International financial institutions and international banking institutions own equity shares in several of Georgia's banks. Interest on commercial loans remains high, though has started to drop as competition for credit-worthy customers has increased. The economy continues to be credit-challenged, as the price of loans remains high and borrower eligibility requirements remain strict. Georgia faces many challenges in expanding trade. The major market to which Georgia has traditionally been linked is Russia. (For example, at one time nearly 100% of the Soviet Union's citrus fruits were grown in Georgia.) In 2006, Russia imposed bans on all Georgian exports of wine, fruits and vegetables, and mineral water; severed all direct transportation links; and eliminated postal service and visa issuance. (Since January 2009, direct charter flights between Tbilisi and Moscow have taken place intermittently, with agreements to establish direct charter flights between Moscow and Kutaisi and Batumi signed as of 2011.) Georgia has since reoriented its trade relations toward the EU, Eastern Europe, the Middle East, North America, and elsewhere. Georgia's foreign trade turnover in 2010 was $6.731 billion, up 19% from 1 year earlier. The value of exports was $1.58 billion, up 38% from 1 year earlier, and the value of imports was $5.16 billion, up 14.5 % from 1 year earlier. Georgia's trade deficit for 2010 stood at $3.6 billion, up 3.4% from 1 year earlier. Turkey was Georgia's largest trade partner, accounting for $1.104 billion, followed by Azerbaijan ($708 million) and Ukraine ($662 million). Georgian trade with the United States accounted for $353.9 million in 2010, according to the National Statistics Office of Georgia. The government has made considerable strides in controlling corruption, although challenges still remain. Shortly after President Saakashvili took office, his administration dismissed about 85% of the police force and replaced its ranks with better-paid and better-trained officers, immediately decreasing the largest source for daily corruption among the population. Several high-level officials have been prosecuted for corruption-related offenses. The government continues to make anti-corruption initiatives a priority, and Georgia's global ranking in Transparency International's Corruption Perceptions Index improved overall from 133rd in 2004 to 68th best in 2010. Limited confidence in the Georgian court system remains a major obstacle to both foreign and domestic investment. The government publicly recognizes the importance of addressing these concerns, which requires the combination of judicial independence and informed, honest, fair, and competent judicial decision making. International donors have targeted foreign assistance to promote democratic reform, resolve regional conflicts, foster energy independence, assist economic development, and reduce poverty. In 2004, Georgia's debt to the Paris Club was restructured. An International Monetary Fund (IMF) Stand-By Arrangement (SBA) was approved in September 2008 to limit the shock of the August 2008 conflict on the economy through fiscal stimulus financed by donors and liquidity injections into the banking system; it filled part of Georgia's balance of payments gap that had opened as a result of the conflict and global economic downturn. The SBA made $1.17 billion of credit available and was extended until June 2011. Other donors such as the World Bank and European Bank for Reconstruction and Development (EBRD) assist in energy and transportation development, legal and administrative reform, health, and many other areas. Georgia's location between the Black Sea, Russia, Armenia, Azerbaijan, and Turkey gives it strategic importance as a transit corridor. It is developing as the gateway from the Black Sea to the Caucasus and the Caspian basin. Following Russian bans on imports of Georgian wine, mineral water, and agricultural products, and the severing of transportation links in 2006, Georgia has reached out to other neighbors and to the West to diversify its export markets. Georgia is a member of the UN, Organization for Security and Cooperation in Europe, World Bank, International Monetary Fund, European Bank of Reconstruction and Development, World Trade Organization (WTO), Council of Europe, Organization for Democracy and Economic Development-GUAM, and Black Sea Economic Cooperation (BSEC). In August 2008, following the Georgia-Russia conflict, its Parliament voted unanimously to withdraw from the Commonwealth of Independent States (CIS). In accordance with the CIS charter, this measure took effect 1 year later. Georgia has a Partnership and Cooperation Agreement (PCA) and a Neighborhood Action Plan with the EU, and is an active participant in the EU's Eastern Partnership initiative, which offers bilateral and multilateral measures and assistance for enhanced EU cooperation with the Caucasus, Belarus, Moldova, and Ukraine. Negotiations on an EU Association Agreement to replace Georgia's PCA began in July 2010. Georgia participates in NATO's Partnership for Peace program, and as of August 2011 was the second-largest non-NATO troop contributor to NATO's International Security Assistance Force (ISAF) in Afghanistan. Since March 2010, Georgia has provided a battalion — approximately 750 soldiers — to participate in ISAF operations, fighting without national caveats alongside U.S. Marines in Helmand Province. In June 2011, Georgia announced it would send an additional battalion, for a total of two battalions in combat, to Afghanistan by the fall of 2012. Upon deployment of this second battalion, Georgia will become the largest non-NATO contributor of troops to ISAF operations. The strength of U.S.-Georgia relations is codified in the U.S.-Georgia Charter on Strategic Partnership, signed in January 2009. The first meeting of the Strategic Partnership Commission, held in Washington, DC, on June 22, 2009, launched four bilateral working groups on priority areas identified in the Charter: democracy; defense and security; economic, trade, and energy issues; and people-to-people and cultural exchanges. Senior-level U.S. and Georgian policymakers lead yearly meetings of each working group to review commitments, update activities, and establish future objectives. Since the signing of the Charter, the United States and Georgia have strengthened their mutual cooperation based on U.S. support for Georgia's territorial integrity and sovereignty, and its commitment to further democratic reform. To learn more about the U.S.-Georgia Strategic Partnership Commission, please visit (http://www.state.gov/p/eur/ci/gg/usgeorgiacommission). The United States has provided over $3 billion in assistance to Georgia since its independence in 1991, including a $1 billion post-conflict assistance package in the aftermath of the 2008 conflict. Recent U.S. foreign assistance has been designed not only to address immediate recovery needs, both economic and humanitarian, arising from the 2008 conflict, but to consider longer-term development priorities that will assist Georgia in its ongoing transition to a free, prosperous, market-oriented democracy firmly anchored in the Euro-Atlantic community. The majority of the post-conflict pledge targeted immediate stabilization and reconstruction needs such as supporting reintegration of internally displaced persons and social recovery, and restoring peace and security through support for law enforcement and enhanced border security. As part of the pledge, the Overseas Private Investment Corporation provided funds for new finance and insurance investments in Georgia's housing, finance, and agribusiness sectors. The package also included $250 million in direct budget support to the Government of Georgia, and a $100 million increase to Georgia's $295.3 million Millennium Challenge Corporation (MCC) Compact to expand work on road infrastructure and enhance energy security. Georgia was one of the first countries to receive an MCC Compact and was one of the first countries selected as eligible for a second following the initial Compact's completion in April 2011. Ongoing U.S. support emphasizes multi-year media and civil society development programs targeting systemic weaknesses in Georgia's democracy, as well as large-scale energy infrastructure projects, including rehabilitation of the East-West natural gas pipeline and reconstruction of the high-voltage Senaki power line, which will help to enhance Georgia's energy security. U.S. programs continue to assist internally displaced persons through housing upgrades and by improving social services, and strengthen democracy and governance by enhancing institutional checks and balances and by increasing public participation in democratic processes. This includes assistance to strengthen the rule of law; increase government transparency, accountability, and responsiveness; promote political competition and democratic electoral processes; and strengthen independent media and civil society. U.S. programs also seek to increase the standard of living of Georgians through development and reform of the education and health sectors. U.S. assistance works to builds capacity in the security sector by enhancing the professionalism and capacity of the armed forces, furthering Georgia's ability to secure its borders, improving law enforcement, and addressing cross-border challenges such as trafficking in persons and narcotics. Information about U.S. assistance to Georgia can be found at (http://www.state.gov/p/eur/rls/fs/167303.htm). The U.S. Embassy (http://georgia.usembassy.gov/) in Georgia is located at 11 George Balanchine Street, Tbilisi, Georgia, 0131, telephone (995 32) 27-70-00. For travel and consular information, please see the Travel and Business Information section below. Specific questions related to consular issues in Georgia can be sent to U.S. Embassy Tbilisi at AskConsulTbilisi@state.gov (AskConsulTbilisi@state.gov).